Despite first impressions, St Petersburg Russia is a bigger city than you might think so it's easy to get off the beaten path, leave the crowds and find somewhere unique where other tourist rarely visit. 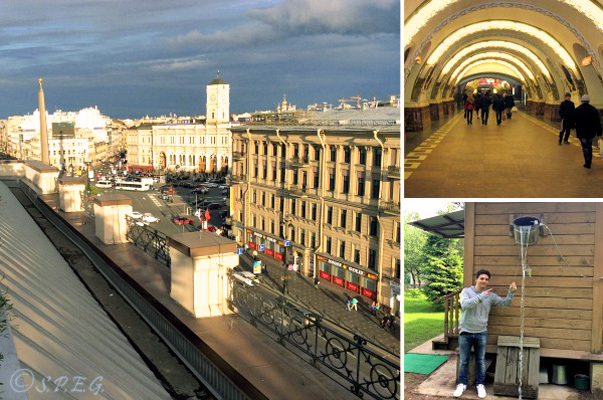 From the left, a photo taken from the rooftop of a bulding in the city; following from the top, a look inside the St Petersburg metro; then Me (Davide) at our Russian Dacha. Of course, you should never dismiss seeing the main St Petersburg's Attractions, but if you are searching for the opportunity to do things off the usual tourist radar or you just want to enjoy the city by doing something different, then you should also go where the locals go and do what the locals do. Our St Petersburg Alternative Tours can do just that! They can show you a different side of the city and let you experience the local life. For example, why not step into a local food market or take a Walking Tour through the mysterious courtyards of St. Petersburg? 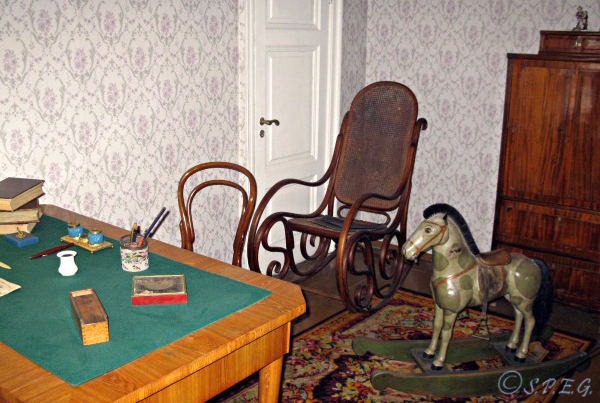 What about planning a visit to the historical Dostoevsky House Museum or the Jewish Synagogue? If you aren't afraid of heights, you could also take a tour on the roofs of St. Petersburg’s buildings and enjoy panoramic views of the city. 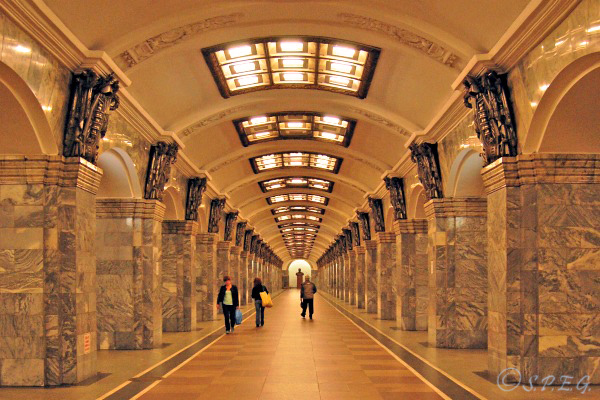 Or, you could even walk into the decorative Saint Petersburg Metro and discover an interesting underground art gallery made of marble and granite with unusual statues and chandeliers made of bronze, crystal and decorative glass. And if you are up to it, what about going for a bike tour with us in the outskirts of Saint Petersburg or spending a weekend at a real Russian Dacha in the countryside? This is the perfect way to experience the real life of Russians, meet with locals and have fun. If you are looking for alternative ideas to discover the imperial city take a look below at our picking list of St Petersburg Alternative Tours, and if you need more information feel free to get in touch with us. Are you a reader or a fan of Dostoevsky? If so, discover the underbelly of St. Petersburg through the footsteps of the famous Russian writer Fyodor Dostoevsky and learn about his dramatic life, work and love with this walking tour. Visit the place where he lived and died as well as the sights he talked of in his books. Find out the spot where he wrote "Crime and Punishment" and much more! Itinerary: With an expert local guide you'll visit the places where Dostoyevsky lived and died as well as learn about the writer's life and work. You'll walk inside his flat and the footsteps of main character Raskolnikov to the pawn broker's house, and take in the atmosphere of the dark side of St. Petersburg depicted creatively by the author. Sights covered on the tour: Dostoevsky’s Apartment Museum; Dostoevsky area; Vladimirskaya Church; Dostoevskaya Metro Station; Tikhvinskoe Cemetery at Alexander Nevsky Monastery. Ideal For: Couples, friends, family with kids and small or large groups of people interested in Dostoevsky's life and work. Note: A short trip by bus or metro might be necessary in order to cover some of the places on the tour. Otherwise we can organize a private transport service to let you easily move around the city. Group Size: Maximum 10 people, Minimum 2. Available Languages: English, German, French, Italian, Spanish, Portuguese, Greek, Chinese, Bulgarian, Russian. Exclusions: Tips to the guide, Entrance Tickets, Food and Drink, Travel Expenses. Take a walk through the mysterious Yards of Saint Petersburg, zig zag through hidden streets in the historical city center, discover unknown gems which conventional tour groups usually miss. Admire spiral staircases, vintage patterns, Art Nouveau apartment blocks, moldings, stained glass and much more. See what lies behind the facades of the palaces, feel inspired and experience the city as locals do. Itinerary: With an experienced local guide you will walk through the courtyards of some buildings in the heart of the city and tour around. Sights covered on the tour: Nevsky Prospekt; Hidden monuments; Statues; Old squares; Small streets and yards. Options: You can combine this tour with a Nevsky Prospekt Walking Tour (Recommended). Ideal for: Family, Friends, Couples, small groups of people. Note: Usually we combine this tour along with another. Exclusions: Tips to the guide, Food and Drinks, and any extra. Take a walk through the stalls and rows of the Oldest Marketplace in Russia, Udelnaya, and experience the spirit of Soviet times while picking up some unique gifts. Enjoy a vast collection of soviet antiques, unusual trinkets and diverse Russian memorabilia at low prices. Meet ordinary babushkas and locals, who are selling their personal items in exchange for money. Itinerary: With an experienced local guide you will take the metro and reach the metro station Udelnaya. There you'll start a fascinating walk through the surrounding area and the popular marketplace, and tour around. Sights covered on the tour: Udelnaya Flea Market and the surrounding area. Options: You can combine this tour with a visit to Sosnovka Park or Udelniy Park. 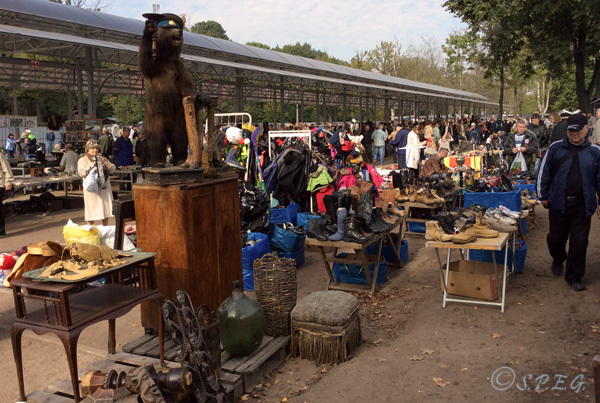 Ideal for: Travelers interested in buying old Soviet and Russian items, meet with locals and experience the Soviet style atmosphere. Note: A short trip by bus or metro might be necessary in order to cover some of the places on the tour. Otherwise we can also organize a private transport service to let you easily move around the city. When: Each Saturday of the week, depending on the weather conditions. Exclusions: Tips to the guide, Food and Drinks, Travel Expenses, and any extra. 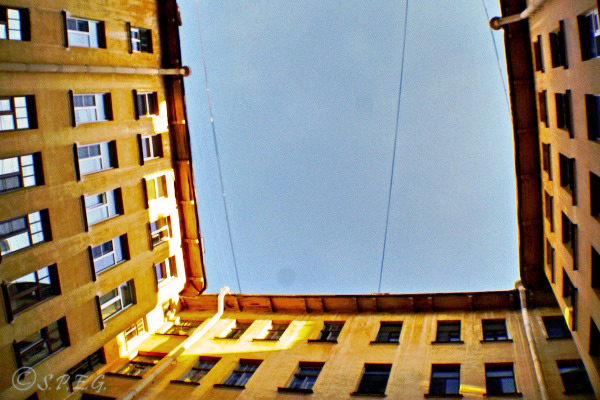 Experience the daily life of Russians and enjoy masterpieces of underground architecture. Take our Tour of Petersburg Metro and get the chance to admire stunning art decorations, historical monuments and marvelous columns made of pressed glass. Our Russian subway is not only the best option to get around, but also an interesting work of arts to discover and enjoy. Itinerary: With an expert local guide you'll entering the Metro and stop at the most important metro stations for visiting. The metro stations you'll be visiting are those that represent the prosperity and power of the Soviet Union, so a really must-see. Sights covered on the tour: Ploshad' Vosstaniya (Uprising Square) with bas-reliefs on the revolutionary events; Avtovo, the true underground palace; Kirovskiy Zavod (Kirov Plant) with bas-reliefs of the Soviet heavy industry; Admiralteyskaya (Admiralty), one of the deepest subway stations in the world; Pushkinskaya with monument of Pushkin; Dostoevskaya. Options: You can combine this tour with a Downtown Walking Tour or a visit to a museum, or a cathedral nearby. Ideal for: Travelers interested in experiencing the deepest underground in the world and see the daily life in the city with a touch of the Soviet times. Note: Usually we combine this tour along with another. Several trips by metro are necessary in order to cover some of the places on the tour, or a private transportation is available upon request. Exclusions: Tips to the guide, Travel Expenses, Food and Drinks, and any extra. Want to travel to the countryside? Keen to see what a genuine Russian Dacha is like? If so, don’t miss the chance to visit a real Dacha with Banya and feel like a Russian. 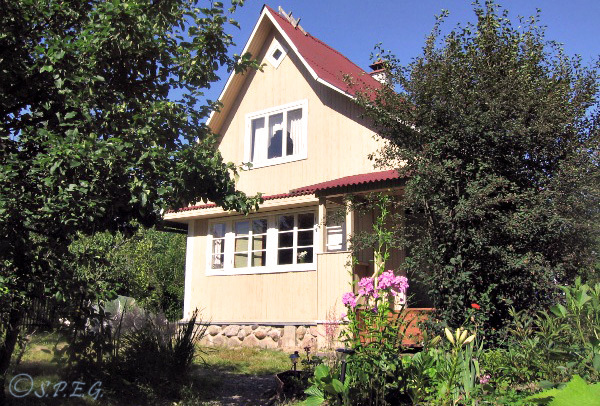 I (Davide) and Anastasia would be happy to invite you to visit our family cottage located 60 Km from Saint Petersburg. If you're looking for a unique travel experience that will stay in your memory for decades, then this is your best option. Itinerary: You'll spend an unforgettable weekend in a Russian village together with a Russian family. We'll come to pick you up at your hotel and then drive outside St. Petersburg to our Russian dacha. There, you'll be eating and drinking like Russians, walking or biking through the amazing forest and lakes nearby, and enjoy a real Russian Banya (steam bath/bathhouse) with an included massage with branches from a birch tree followed soon by a shot of Russian vodka or tea. Sights covered on the tour: The countryside of Russia; Russian Dacha and the surrounding small village made only of wood; Russian Culture and Traditions; Russian Banya. Ideal for: Anyone interested in directly experiencing real Russian life, nature's lovers, and those who wish to see the Russian countryside. Note: This is an informal tour which requires an ability to adapt and a bit of spirit, as well as an early notice. When: Tour available all year around but only on weekends and according to our availability. Steaming out in our Banya with slaps of birch twigs and dousing with cold water. Exclusions: Tips, and any extra. Want to drink Russian vodka? 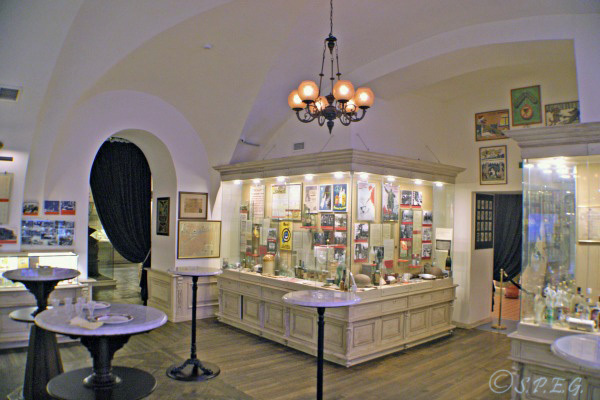 If so, the best place to go is the Russian Vodka Museum, a commercial museum where you can not only learn about the history of Russian vodka, but also taste it. Here an employee of the museum will guide you through an interesting exhibition, which displays different items and photos that introduce you to the evolution of Russia's national drink. Itinerary: With a local guide you'll visit the original Russian Vodka museum and hear interesting stories and facts about the history of vodka. Options: You can combine this tour with a visit to St. Isaac's Cathedral, or much better, with dinner or lunch at the Russian Vodka Room. A popular restaurant situated attached to the museum. There, you can savor Russian cuisine and drink a shot of authentic Russian vodka. Ideal for: People interested in Russian traditions, Russian vodka and history. Note: Usually we combine this tour with our city sightseeing tour (Recommended). Duration: 1 Hour (With an side museum tour guide), or 4 hour (With our local guide). Professional Local Guide (Only if you take a complete city tour). Tour Guide offered by the museum (To hire on the spot). Exclusions: Tips to the guide, Entrance Tickets, Food and Drinks, Travel Expenses. Interested in the Jewish Community? If so, take this walking tour and let us guide you through the most famous Jewish sights of the city. 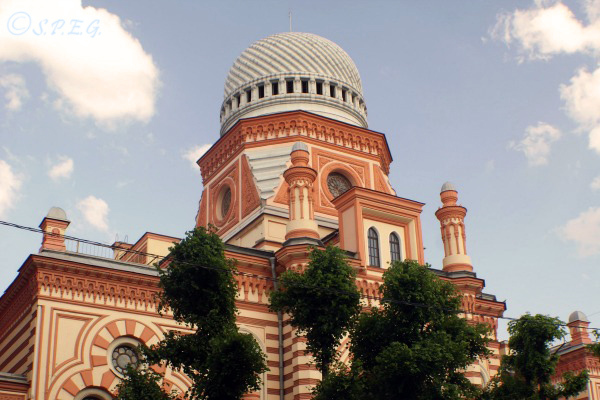 Visit the magnificent Grand Choral Synagogue, one of the most beautiful Synagogues in Europe and learn about the life of Jews in Russia during the Tsars and Soviet times with a local guide trained in Jewish history. Itinerary: With one of our local guides you'll visit the Grand Choral Synagogue and the amazing surrounding area along with other interesting sights. During the tour you'll learn about the history of the Jewish Synagogue and the life of Jews in Russia. Sights covered on the tour: The Grand Choral Synagogue and the cemetery adjacent; ESOD (the Jewish Community Centre); Preobrazhenskoe Jewish Cemetery; Museum of Ethnography; Academy of Art and Theater Square. Ideal for: Couples, friends, family with kids and small or large groups of people interested in Jewish history and culture in Russia. Enjoy a great combination of food and drinks as well as historical anecdotes involving the Russian food. Take this private tour and visit the most famous Food Markets of St. Petersburg: Kuznechniy Market or Hay Market. 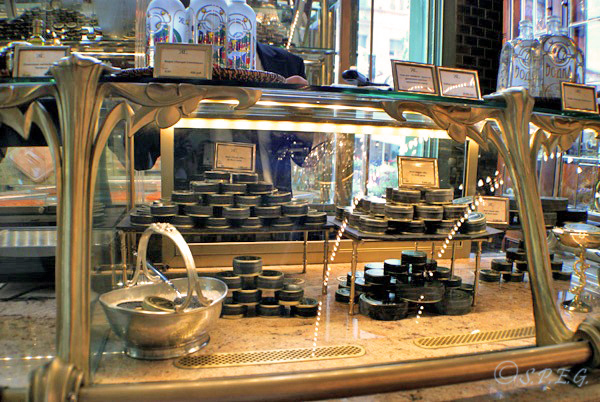 Taste fresh honey, Russian salads or caviar, and then stop by at the oldest Soviet cafe, and Eliseevsky Food Hall and enjoy the best Russian delicacies, such as the Pishky or Pirogi. Sights covered on the tour: Kuznechniy Market near Vladimirskaya Metro Station; Hay Market in Sennaya Square; Cafe Pyshechnaya in Bolshaya Konushennaya; Eliseevsky Food Hall in Nevsky Prospekt; Stolle pirogi, Sever cafe' and other interesting places. Options: You can combine this tour with a visit to the Church on the Spilled Blood, Peter and Paul Fortress, or St. Isaac's Cathedral and with a table reserved in one of the best Russian restaurants in the city for lunch or dinner. Ideal for: Couples, friends, sole travelers, family with kids and small or large groups of people interested in Russian culinary history and food. Exclusions: Tips to the guide, Travel Expenses, Food and Drinks, any extra. Do you love cycling? If so, join us for an informal Bike Tour at the Sosnovka Park and surroundings and experience the city differently. 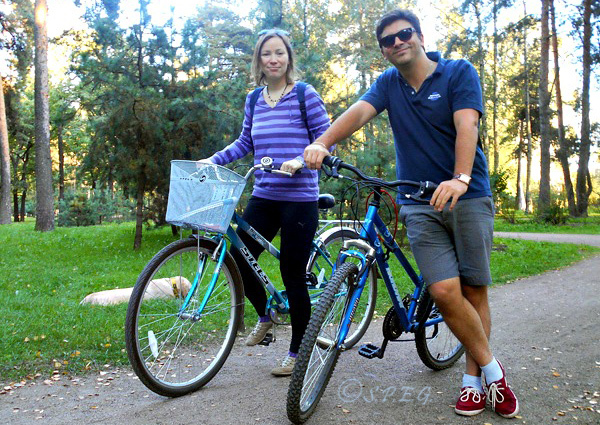 Let us, Anastasia and Me (Davide) two locals living here, show you around a new side of Saint Petersburg. Enjoy a unique bike tour off the beaten path, and see how Russians entertain themselves during the weekend and have fun. Itinerary: You will meet with us at the park and spend a few hours on a bike tour in the outskirts of the city (Vyborg Side). You'll cycle in and around the biggest and most important park of the city while discovering new hidden historical spots and enjoy our friendly company. Sights covered on the tour: Sosnovka Park and the surrounding area; a few war memorial monuments and statues that belong to WWII. Options: If you have enough time you can visit also another park which is situated not far from Sosonovka Park, the park is called Udelniy Park. Ideal for: Family with kids, couples, solo travelers, seniors and small groups of people who loves to combine cycling, nature and relax. Note: This is an informal tour which requires an ability to adapt and a bit of spirit. A trip by metro or bus is necessary to reach the meeting point. However, usually we arrange a private service transport from your hotel to the meeting point and return (Recommended). When: Saturday or Sunday (sometimes during the weekdays but only according to our availability - We work too!☺). Available Languages: English, Italian, Portuguese, Russian. Hotel Pick up and Drop off Service (Upon request). Informal excursion on bike with us (Me or Anastasia). Exclusions: Rental bike (300 Rubles per one hour), Food and Drinks, Travel expenses, Tips. Get a unique perspective of the imperial city and enjoy breath-taking views with a Rooftop Tour of St Petersburg. Take in the city's atmosphere, admire the sunset or sunrise, feel on the top of the world while looking down at the boats sailing down the canals or people walking on Nevsky Prospekt. Hire an experienced guide and climb up to the roof! 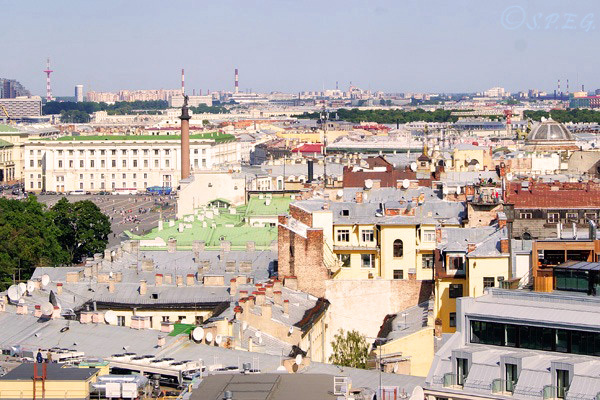 Itinerary: With an experienced local guide you will walk up on the roof of some buildings in the heart of St. Petersburg from where you'll get a panoramic view of the city. Sights covered on the tour: Overall view of the city from the roofs. Options: You can combine this tour with a stop at the St. Isaac's Cathedral to visit the golden dome, so you walk up to the top of the cathedral where you can get a wonderful view of the city. Afterwards you can also have dinner to a nearby restaurant recommended by us! Ideal for: Adventurous young travelers only. Note: This type of tour is not exactly legal in St. Petersburg, but is doable.There are some terrace roofs where you can go, so you won't get into trouble by doing this tour. The best time to enjoy this unusual tour is during the evening and when is not raining! Group Size: Maximum 6 people, Minimum 2. If you hire a local guide or want to tour with us make sure you book the tour well in advance. When you choose a local tour guide independently make sure you ask if he/she is a licensed local tour guide. You should avoid touring around the city with an unlicensed guide unless you know them or you know they have connections in the tourism industry. Usually all the tour guides provided by a tour company are licensed! If you visit museums, make sure you buy the entrance tickets in advance or you ask your tour guide to do that for you, so that you avoid the queues. Depending on where you go and what season, sometimes you may spend long hours in a line just to get in, so purchasing tickets in advance is really recommended. Always check the museum website for additional information, timetables and price updates, if you plan to tour the city on your own. Always bring cash and small change of money with you to avoid any payment problems at the cafes or shop souvenirs. Our St Petersburg Alternative Tours are led by friendly and knowledgeable local tour guides who knows the city very well, so don't hesitate to contact us. Usually most of the tours listed here are included or suggested during the making of your tour itinerary. A combination of usual/classical tours along with no usual/alternative tours are the best choice to get the most out of your visit.